We recently conducted a pilot study examining the benefits of combining a low-carbohydrate diet and strength training program on body composition and resting metabolism. As subjects were returning for post-testing we were noticing some very impressive changes over the course of only six weeks. However, some comments by one of our subjects caught my attention and provided the inspiration for this post. I don't mean to embarrass this individual as I've heard similar comments in the past. 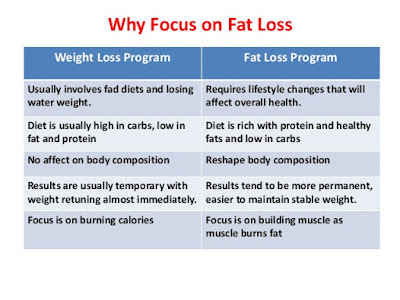 To preface this a bit, most of the subjects were experiencing significant weight loss with decreases in body fat and increases in lean muscle mass.....which is essentially best case scenario and something that people are constantly seeking to do. We had a diet intervention group which consumed a low-carb diet and a control group that could eat whatever they wanted with both groups completing 3 days a week of strength training. One subject that was initially in the diet group returned to the lab for post-testing and said that they decided to change groups because they weren't losing any weight and even gained a pound. Now first of all, as a researcher this is obviously frustrating as the data becomes worthless because they flip flopped treatments however as a fitness professional I became even more frustrated as her reasoning for changing groups was based off of a misconception that I hear far too often. When we looked more closely at her body composition results, she actually lost ~6 lbs overall and 3.5% body fat. She also put on 5 lbs on lean muscle mass and lost 12 lbs of body fat! recomposition that she managed to pull off is amazing! composition changes were incredible and she should have been proud of that. As I mentioned earlier, a lot of people have the misconception that the number on the scale is all that matters and then get too focused on losing weight instead of changing their body composition for the better. In fact, a lot of times people will go on crash diets and lose a lot of weight with great success however they are losing both fat and lean muscle mass which will result in some negative consequences, several of which making them more susceptible to regain that weight right back! So when you are told you are overweight and/or are beginning your weight loss journey, make sure you try and focus on losing body fat, by monitoring changes in your body fat percentage. If you don't have access to this kind of equipment you can always use visual tests such as progression photos in the mirror or the clothes tests. You should be able to tell that your body is changing shape and you appear leaner. This will help you maintain that weight/fat loss over time and improve your body composition rather than just making a number on a scale go down.